Home » Posts Tagged "aware"
Do you ever stop to recognize where you are at in your life and where you want to be going? If not, you should. Stop for a minute and recognize where you are at in your journey. Are you in a good place? Are you struggling through some challenges right now? Are you able to look back and see progress being made? Are you heading in the right direction? I just had this natural pause and reflect moment the other day. I’m looking back at the past and seeing how that work and those struggles have led to the success and opportunities that are around me now. I am consciously aware of the great things all around me in my life and supremely grateful for them and looking forward to many more to come. Your Truly Simple Action of this week is to pause and recognize. Stop life for a minute and see where you are at. I like that quote above a lot. 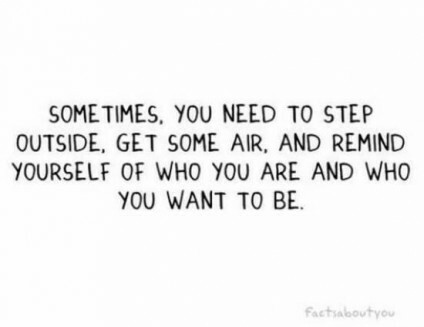 Take a minute and step outside. Go for a walk and get some fresh air. Reflect and recognize where you are at in your life. See if it lines up with where you were and where you want to be going. If you don’t know where you are going or what you want, then it’s a good time to decide. Write it down. Take out a piece of paper and in great detail write out what it is you want and who it is you want to be. You are the author of your own story, so write out some future chapters. Set a path and as you progress on your journey take some time to pause and recognize where you are and where you are heading. Another quick tip on how to make this recognition work as a good guide for you is to focus on gratitude. This is a game changer. You must recognize the amazing things already in your life if you want to continue to have more of them. Stop and be grateful for all the great things you have. This will help align you on the right path.